Rajinikanth-starrer Kaala is off to a good start at box offices both in India and abroad, but failed to become the best opener for Thalaiva. Despite the strong show, Kaala could become only the second-highest opener for Rajinikanth, with Kabali remaining the best opener for the legend in South India movie industry. 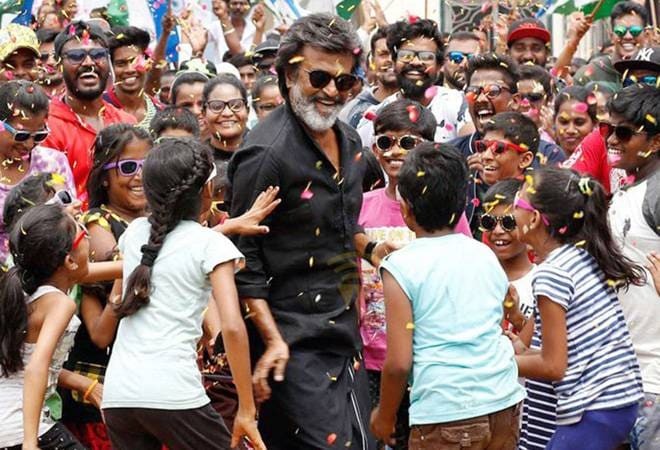 Before its release, Kaala was expected to become the best opener for Rajinikanth. "As you read this, #Kaala crosses $ 1 million mark in USA... Total till Sat [9 June 2018] 10.36 am IST: $ 1,011,633 [Rs 6.83 cr]... Updated numbers later... @Rentrak," said market analyst Tarun Adarsh. "Rajinikanth mania grips AUSTRALIA... #Kaala takes a FANTASTIC START... As a matter of fact, it's one of the BEST STARTS by an Indian film in Australia... Debuts at No 5 at Australia BO... Thu A$ 105,672 Fri A$ 100,662 Total: A$ 206,334 [Rs 1.06 cr]," Adarsh said. Directed by Pa. Ranjith, Kaala features Nana Patekar, Huma Qureshi, and Easwari Rao, Dhanush in leading roles. Kaala' tells the story of godfather/gangster Karikaalan (Rajinikanth) who helps the poor Tamilian families living in the slums of Dharavi in Mumbai. However when a gangster-turned-politician Hari Dada (Nana Patekar) launches a campaign to demolish Dharavi, Kaala and his followers fight back to protect their homes.